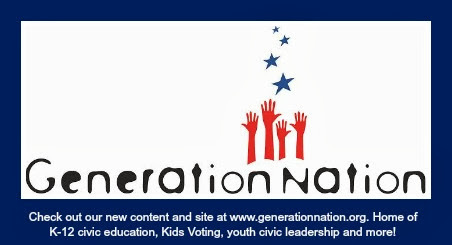 GenNation Learning Center: Presidents Day! Presidents Day is a holiday celebrated on the third Monday in February. This year, it is February 20. It is a day when Americans honor the leaders who have served as President of the United States. 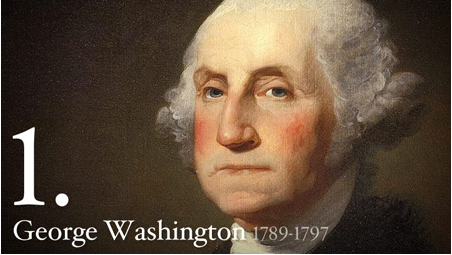 At first, the holiday celebrated the birthday of the first President, George Washington. Now, the holiday also celebrates the birthday of Abraham Lincoln, also born in February, as well as the lives and accomplishments of the other Presidents. The US Constitution defines the President’s role and requirements for taking office. Some of the specifics, such as the date of Election Day, or the number of terms the President can serve, have changed over the years. The president must be at least 35 years old, a natural-born citizen, and have lived in the United States at least 14 years. Americans vote for president every four years on the first Tuesday after the first Monday in November. That popular vote chooses delegates to the Electoral College, which elects the President. The President serves for four years, and can be elected to four additional years. The President wears many hats. The Constitution assigns the president two roles: chief executive of the federal government and Commander in Chief of the armed forces. As Commander in Chief, the president has the authority to send troops into combat, and is the only one who can decide whether to use nuclear weapons.As chief executive, the President enforces laws, treaties, and court rulings; develops federal policies; prepares the national budget; and appoints federal officials. He also approves or vetoes acts of Congress and grants pardons. The President earns $400,000 each year, plus additional expenses and benefits such as living at the White House. Use Presidents Day as a civic learning opportunity. Learn about the roles and history of the President and evaluate leadership, communication and political skills. A variety of activities are available. Modify based on your grade level or subject area. For example, you can focus students on the community, North Carolina, the United States or another country. Connect this to history, literature or in a global community. Leaders have roles and responsibilities. Who are the different leaders at your school? City? Country? Are some of their roles similar? Different? Explain what is the same and what is different, and why you think that is. What does the President do or talk about that is of interest to or affects kids? How much time do you think he spends working on issues that impact kids? Does he spend more or less time on those issues than he does on adult issues? Why do you think that is? If you were writing a biography or reporting about the President (pick any President in history, or divide the class into groups), what would your book title or news headline be? Now, read actual titles or headlines. One easy way to do this is through Google or Amazon.com. You can also view an online Presidential Library or news source. Were you close? Is your headline or title better? Why? Sometimes there will be many headlines and titles, with each one saying something completely different (example: George Washington: The Best President Ever! or George Washington: The Worst President Ever!). Why do you think that is? Watch a video of a President, or read a famous speech. How does the President communicate the information? Is he persuasive? How? What do you think is the most effective thing he does to communicate the information? Least effective? Are the sentences long or short? Can you summarize his main points – in a few words, what was the speech about? Does he read from a piece of paper? Does he raise or lower his voice or move his hands to illustrate a specific point? What emotions and expressions does the President show? Does he look confident? How is he dressed? Does this matter? What are the roles of the President (past or present)? What are some examples of the President in these roles? In your opinion, what are the ideal qualities in a leader? Which President(s) demonstrated those qualities? What are words that come to mind when you think of a leader? A politician? Are the words the same, or different? Why? Do you have to be an official “leader”, like the President, to demonstrate those qualities? How can you be a leader in your everyday life? Give examples. If you were the President, what would you do? Would you change policies? Make things happen? Solve problems? Write a short speech and tell everyone! Or, role-play a President in history - or a leader in another country - and write your speech from that perspective. President's Hats - Students examine the jobs of the president to discuss components of American democracy. You can also compare various roles with those at the family, school or community level. Use this for a writing or verbal activity. Wish Tree - Students make wishes for the country regarding changes they would like to see. This is a great writing activity. You can also use this activity on a family, community or similar level as appropriate. Several other related lessons available. Note: Kids Voting USA activities are provided directly to Charlotte area schools through Kids Voting Mecklenburg, a program of GenerationNation. If your school is in the Charlotte area and you would like a copy emailed to you, contact info@kidsvoting.org. If you are not in Charlotte or want to download from the web, visit www.kidsvotingusa.org/curriculum.